Haunted mansions conjure up images of dusty, cobweb-filled corridors, swaying chandeliers, and ghostly footsteps echoing in the night. In reality, most of these scary mansions were once the peaceful dwellings of wealthy families. Today, you can find many mansions converted into bed and breakfast inns, hotels, restaurants, and conferences centers. The list below includes a small selection of haunted mansions chosen for their documented paranormal activity, historical value, or beauty. All are open to the public for tours or for overnight lodging. So, pack your EMF detector, infrared thermometer and camera, and enjoy a well-appointed bed and breakfast with a little ghost hunting in between relaxing and sightseeing. 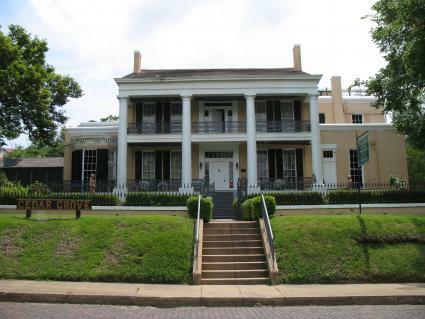 The Lemp Mansion and Inn, located in St. Louis, Missouri, was once home to the Lemp family. One of the first lager beer brewers in America, the Lemps built a considerable fortune from their business. Built around 1860, the mansion's 33 rooms were the talk of St. Louis. The grand, sweeping staircase, then state-of-the-art heating radiators, and Victorian grandeur marked the Lemp Mansion as the talk of the town. As with many great families and their homes, the Lemps fell on hard times, including suicides within the family and the loss of the business. In 1970, the last Lemp family descendant died, and the home was converted into a boarding house. When that business failed, the current owners converted the huge house into a bed and breakfast, banquet hall, and restaurant. 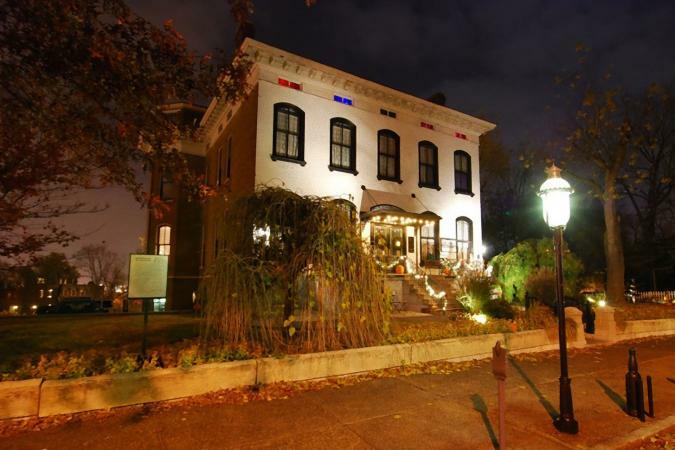 Paranormal activity at the Lemp Mansion includes overnight guests feeling watched, and those who stay in Mr. Lemp's former rooms find their possessions moved during the night. For example, an unseen hand, may line up personal possessions, especially if they were left in a jumble before bedtime. Since Charles Lemp reportedly exhibited the symptoms of obsessive-compulsive disorder in life, might his spirit feel the same compulsions in death? Another curious attribute of the Lemp Mansion haunting is sounds. Particularly, the sounds of a dog barking and birds singing in the dining room. Before committing suicide, Charles Lemp shot his pet dog. It is thought that the barking dog is his pet, still barking in fear on that fateful night. And it's worth noting that the dining room was once an atrium, a greenhouse like room, filled with plants and exotic birds imported for the family's enjoyment. Betsy Balanger gives haunted tours on Monday nights by appointment. Information is on the Lemp Mansion website. Vicksburg, Mississippi should be a familiar name to most Americans. It was the site of one of the bloodiest battles of the Civil War. Many homes were lost, but Cedar Grove, a beautiful 1840's Greek Revival mansion near the battlefield, was saved thanks to the family connection between Elizabeth Klein, owner of the mansion, and General Sherman. During the Civil War, the Union converted the mansion into a battlefield hospital. After the war, the home returned to private use until the current owners purchased it with the intention of refurbishing it into the beautiful bed and breakfast inn it is today. Cedar Grove's ghostly inhabitants include the spirit of John Klein, the entrepreneurial architect and jeweler who built the house. The ghost of Mr. Klein appears regularly in the Gentleman's Parlor on the first floor accompanied by a strong odor of pipe smoke. It is said that if Mr. Klein does not like you, you will be able to smell the pipe smoke. If he likes you, the scent is absent. Other ghosts that roam Cedar Grove include the spirit of a young girl. The little girl appears to be around four years old and wears Victorian clothes. She seems frightened and lost, and wanders the halls until she disappears from sight. Among the Klein family, one little girl around that age died. It is speculated that the spirit is that of the little one who does not understand that she's passed on, and continues searching for her parents and family. Sounds of children playing and crying are also common. Cedar Grove welcomes visitors. Visit their website for tours, accommodations and other information. Although the white clapboard-style Massachusetts house known as the Porter-Phelp-Huntington Mansion doesn't look like a mansion, it was considered the finest home in Hadley in its day. 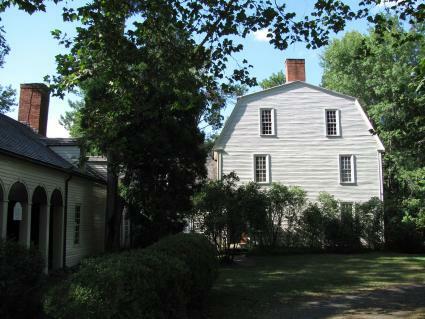 Built in 1752, it is now a museum. The Porter-Phelps-Huntington Mansion boasts some chilling paranormal activity. Visitors to the museum hear a wide range of sounds from a spinning wheel to footsteps and laughter. Many visitors leave when frightened by figures that rush at them from the shadows. Some people report seeing door latches rise and fall by themselves, as well as odd indentations on the beds, as though someone were just sitting there before quickly getting up to leave. There are dozens, perhaps hundreds more haunted mansions around America. For example, a group of mansions preserved in Newport, Rhode Island includes at least three mansions reputed to be haunted. Winfield Hall, the former Woolworth estate on Long Island, New York, is also said to be haunted. One eyewitness, author Kerriann Flanagan Brosky, reported in her book Ghosts of Long Island that she saw a ghostly figure appear in the window in broad daylight. Another website, Haunted Houses, provides a state map that lets you click on your state to find haunted mansions near you. Shows such as Ghost Hunters and Paranormal State also frequently investigate haunted mansions.